What do you do if you require prescription medicine for high blood pressure, colitis, asthma, or some other condition that requires daily medication? So what is you plan to obtain prescription medications for after TEOTWAWKI. First you have to face facts, no one will be able to stock enough prescription medications for the rest of their life, assuming at least a few years. So what are your options? 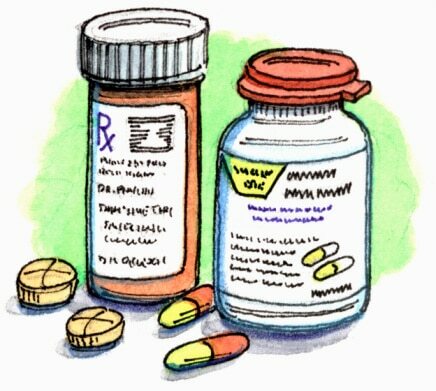 One stock up on as much of your prescription medications as you possibly can. Whenever I tell people this, they always ask how? Often it is not as hard as you think. Suppose you have an insurance plan that gives you a month’s supply at a time. Investigate how long before the month is over they will let you refill your prescription. Often it can be up to a week and a half before the month is over. Schedule the pickup of your medications for the earliest possible date. Over time, you will gradually build up a reserve supply. I know someone who has built over 6 a month’s supply by doing this on a regular basis for several years. If you can get a week ahead a month, this is 12 weeks a year you have added to your storage. Just remember to use the oldest first. A member of my family has asthma and needs inhalers. She orders them from Indian and get 12 albuterol inhalers for $54. This is about the price of one inhaler here. Not all medications can be ordered from overseas, but it pays to check. Talk to your Doctor sometimes they will help you if you ask correctly. Tell them you like to keep an extra month ahead for emergencies in case you lose your prescription. You don’t have to go into detail about being a prepper. Sometime you can be lucky and find a doctor that is a prepper. Second, get yourself in the best physical condition that you can, this can help with conditions such as high blood pressure or diabetes. This normally means that you need to get up and at least start walking and then go on to other exercises. It doesn’t mean that you have to train as if you are getting ready for the Olympics. Just do the best you can for your age and physical condition. Three study alternate medical treatments. Find out what herbs or other alternate therapies can help your condition. Get some good herb books. Learn how to grow or find the necessary herbs in your area. How do you prepare them and what are the dosages. These are just a few of the possible options that you may try. But do something, don’t wait until it is too late. This entry was posted in medical and tagged Prescription Medications. Bookmark the permalink. Howard, nice article. Would like to encourage the herb and spice knowledge. Have been studying herbal medicine, and personally will NEVER take prescriptions again. Learn how to detox your body, then add good nutrients. Our bodies are wonderful at healing, given the right nutrition, and avoiding the bad stuff (like sugar..totally toxic and inflammatory to the bod). Number one problem, most people don’t want to change their lifestyle. They want to eat how they want, then take a pill to make themselves better. Diabetics (type 2)..STOP eating sugar and carbs in general..geeesch. It’s time for some personal accountability. There are herbs for every illness, and highly effective. Start taking control of your own lives and start educating yourselves..independence is a peaceful state. Howard, I thought I’d read that even though you can purchase medications early (a wise strategy) many insurance companies do not allow you to continue to stock up on medications month after month because their computer system knows that you’ve already received your allotment for the coming month and, therefore, denies you until your time is due? In other words, is this strategy still applicable? Thanks! Can you help out by listing the websites that provide cheap overseas medications? Ourmeds.com. Reliable website and I have ordered from them. if you can use the $4 generics, pay cash for your prescriptions. Avoid running it thru insurance. Many pharmacies will let you pick up refills early.. then go back into the doctor before your prescription runs out and get the next phase going early. Excellent. 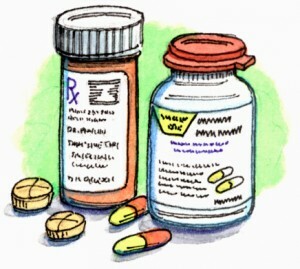 prescription discount cards can be used to help with cost when filling without insurance. As a pharmacy tech I’ve seen people fill a script through insurance and fill a second months worth without cause they are going on vacation outside the country. Just remember that your doctor knows when they wrote your script and how many refills they put on there. So it’s good to explain that you filled an extra month early because it’s hurricane, blizzard, or whatever season. For mild asthma, you can also try to get Primatene tablets. Not sure when they are bringing back the inhalers, but I do know they are trying to get it cleared through the FDA. They used to have them, but can no longer sell them because of the aerosol used. Now, because they use a different gas to deliver the medication, they have to get FDA approval again. The tablets didn’t go through this process.